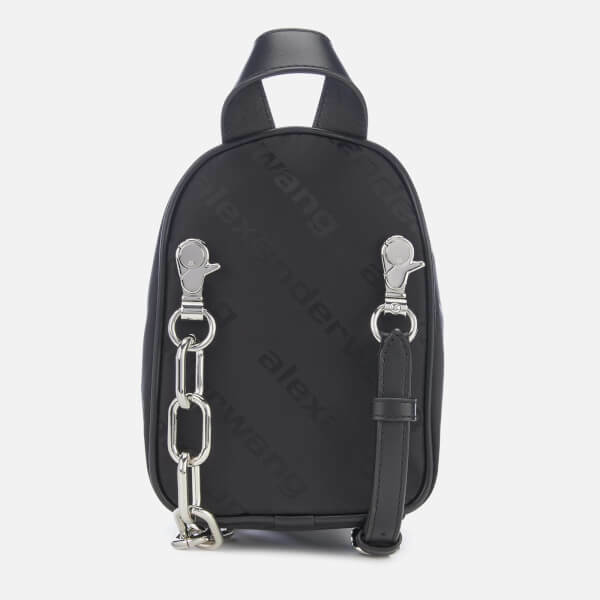 Black mini cross body bag by Alexander Wang, in black, logo-print nylon. 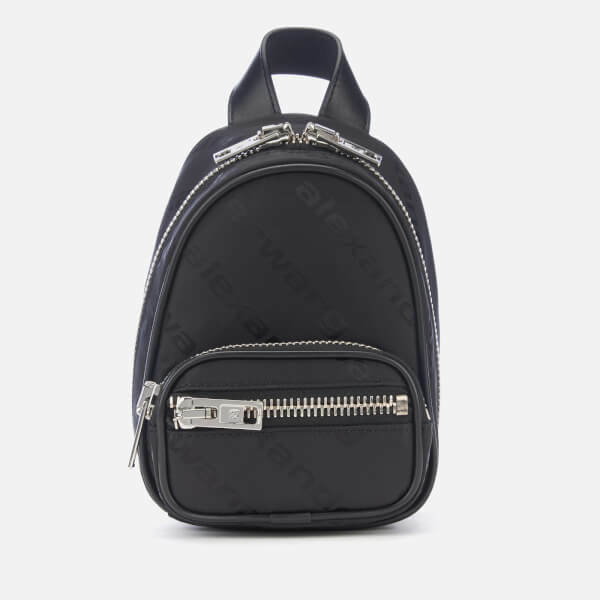 Accentuated with silver-tone hardware including logo-engraved zips that access the bag’s main fabric-lined compartment and two external pockets, the compact bag boasts a backpack construction with a leather top handle. 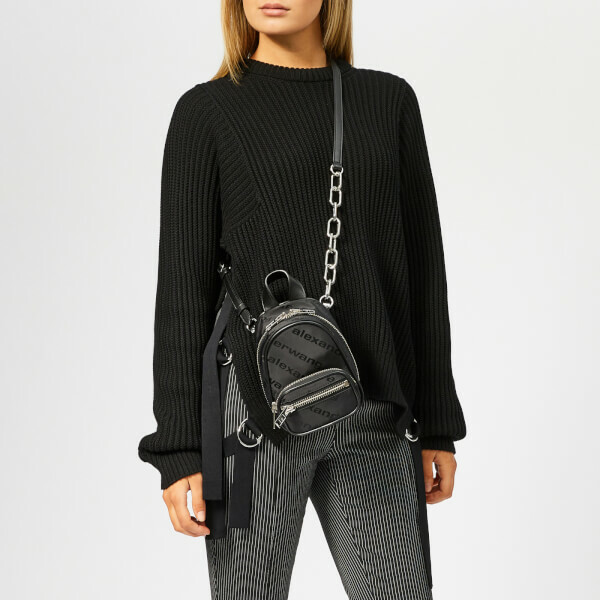 An adjustable and detachable leather strap with a decorative chain-link embellishment offers versatile styling options. Protective dust bag included.